Since we first heard that DJI were to bring out the OSMO handheld 3-axis gimbal we were very interested. Especially because we already own the Inspire 1 and the camera that the Osmo comes with is essentially the exact same camera, so if nothing else we knew the type of quality we could expect and the potential flexibility that this tool would deliver. Luckily our friends over at Camera On Films picked up the DJI Osmo from CVP Group as soon as they began shipping in October and they have kindly offered to give us their exclusive insight into the Good, the Bad and The Ugly of DJI’s latest device. There’s test footage at the bottom of this review too! Unpacking the DJI Osmo was a very satisfying process, much like all the products that DJI produce – they know how to package them to get you excited. Pleasingly the OSMO comes in a very handy hard case, like a mini guitar. 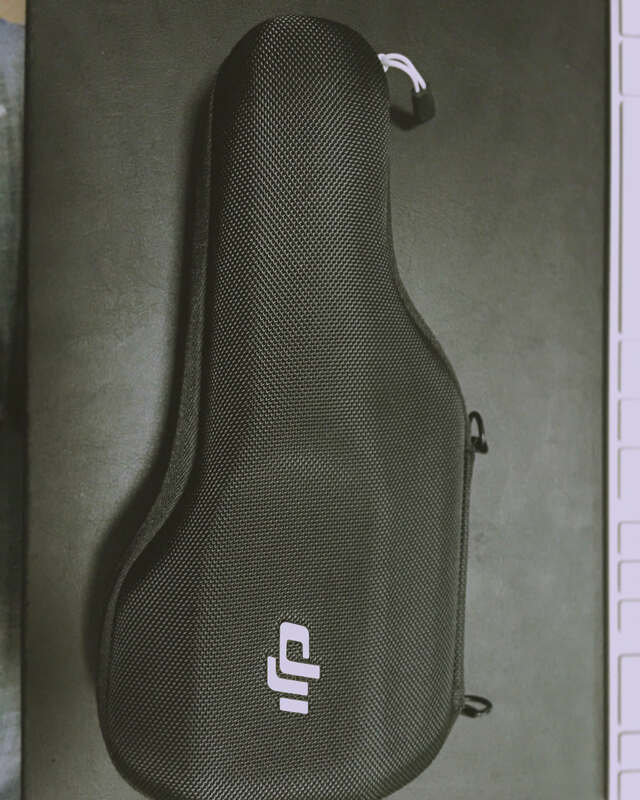 We don’t suspect it will handle huge abuse but none the less having a level of protection for the rig is definitely welcome, especially as DJI decided that this shouldn’t be a paid for accessory like a lot of other products they champion. On first inspection the Osmo is well built and feels very good in the hand. It’s not particularly heavy even with an iPhone 6+ attached as the monitor which is great for those of us who know just how heavy even the DJI Ronin-M and DSLR can get after prolonged use. The monitor arm is attached via a rosette-style mount and there are some very useful accessories that DJI offer which will attach to this mount allowing you to use your Osmo in different ways – for example, a tripod, vehicle and bike mounts which mean there’s going to be some amazing ways people utilise this camera, especially when you find out how controllable the camera is via the DJI GO app. The phone mount is very sturdy and happily holds the iPhone 6+ which, in our opinion, is a perfect size monitor for this rig. In our use, not once has the mount slipped or not been rock solid in whichever position we wanted it in. Much better than other systems we’ve used in the past. The system is incredibly easy to assemble and you can literally be up and running in minutes – well, after you’ve charged the battery which needs to be charged before first use. Once you’ve downloaded the app (App Store Link), simply power on the Osmo, Navigate to you phone’s WiFi settings and select the obvious OSMO network that appears. Now start the DJI Go app and you’ll be presented with the Osmo screen saying the camera is connected and ready for use. From here, Inspire 1 and Phantom 3 users will be happy as, it’s very similar to what you’re already accustomed to with regard to the interface. For those that are not familiar with the interface, fear not, it’s very intuitive and within minutes you’ll be familiar with the options available to you. The basic operation of the Osmo is really quite straightforward. Simply rotate your wrist left and right to get the gimbal to pan with your motion or tilt the gimbal up and down from the handle to get motion in the desired direction. We’ll skip the power button as, if you haven’t worked that one out already, then we really can’t help you. The Joystick allows you to manually move the Osmo gimbal up, down, left, right into any position you choose. If required, you can fine tune the responsiveness of the joystick via the settings which is found in the lower right corner of the main interface. The Photo Shutter Button allows you to take photos and the Video Record Button starts the movie recording function. That brings us nicely onto the Trigger which has three main functions. Hold the Trigger down and the camera will lock itself in place and no matter where you move the Osmo it will hold it’s heading. Double tap the Trigger to reset the camera to it’s centre position. Finally, triple tapping the Trigger moves the camera into Selfie Mode which, if you like that sort of thing, is really cool – especially for those 180° panoramic selfies! For those who have absolutely no experience using a handheld 3-axis gimbal, you’re in luck. 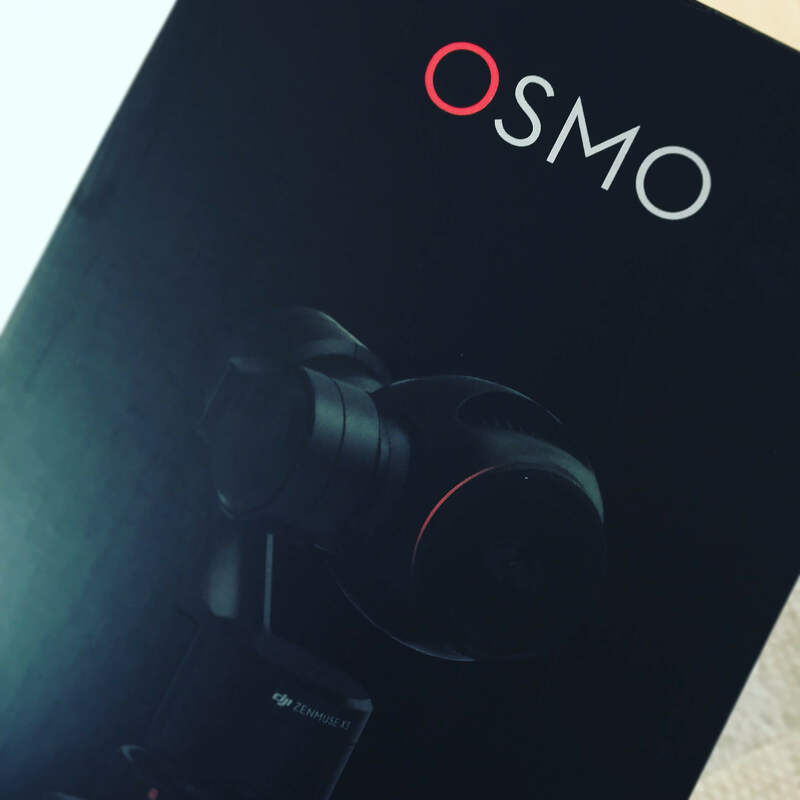 The Osmo will give you seriously good result right away and you’ll be delighted with the footage you can capture with relative ease. For those that have experience with gimbals like this, or at least larger rigs, will possibly be a little disappointed in that it doesn’t do a fantastic job at eliminating the ‘bobbing’ effect that is common in gimbals whilst the operator is walking – but it was never going to. You definitely need to employ the ‘duck’ or ‘ninja’ walk to get the very best footage whilst moving and this does take practice. All it basically require is the operator to bend their knees whilst moving and then try to walk heal to toe where possible. If possible, walk backwards (toe to heal) whilst operating for smoother tracking shots. We also found that using two hands was definitely more solid when operating. That means the right hand on the Osmo handle and then the left hand supporting the phone. This wasn’t required because the mount was loose or needed support, rather it just created a solid operating position that also gave us access to the monitor options and the ability to manoeuvre the phone into different positions whilst operating. Another neat feature of the DJI GO app is that you can still control the Osmo remotely by simply holding your finger on the screen and dragging to move the camera in the given direction. This is similar to the Inspire 1 and Phantom 3 quadcopters and it makes it really useful for those tricky situations where you need to put a camera somewhere that you cannot access it during the recording. Simply mount the Osmo (using the tripod and extension arm accessories), don’t mount the phone on the arm (you won’t be able to anyway) and enjoy full remote control of the camera even being able to reframe your shot should the need arise. The Osmo has a host of features in both the photo and video modes. In both modes, you are either able to set the camera to auto and allow it to alter the shutter, ISO, EV +/- and white balance settings for you or you can take partial (S) or complete (M) control over those settings if you choose too. Form factor: small, light and inconspicuous. It will be so handy for Wedding Videographers, Event Film Makers, Journalists gathering dynamic b-roll in difficult shooting scenarios and Indie film makers. Ease of operation. It really is easy to get to grips with and within minutes you’ll be capturing great motion shots. Simple, manageable media formats – they footage edits smoothly in modern editing systems and does not take up a large amount of storage space. Build quality – Solid and steady. The white balance options are quite limited and AWB changes quite slowly which is great in some cases and annoying in others. Even the most ‘responsive’ settings are too slow and sometimes panning or tilting your wrist can be quite awkward, especially whilst trying to operate the thumb joystick. There should be a targeting mode whereby the camera focuses centre frame so that you can create parallax ‘slides’ or moves with the gimbal without having to rotate the gimbal at all. In Selfie mode, it would be great too if this option used face recognition. The battery life is shockingly restrictive. We were averaging about 60 – 90 minutes per use of a fully charged battery. In some cases this will be acceptable but I’d definitely not want to set off on a day’s shooting without at least a couple of spare batteries. Good news is that the batteries are cheap (£28 on CVP). The fan that the Osmo uses to keep the system cool during operation kicks in after about 30 seconds from the gimbal being turned on and it’s NOISY! I’d actually be mindful of using this in quiet locations and you’d certainly not be able to use the audio recorded by the camera for anything other than a scratch track. This camera is not a low light camera. It has a maximum ISO of 3200 but we’d really advise not using that unless absolutely necessary. When you tilt or pan the gimbal you lose the view of the monitor as you turn the unit which can really affect your framing and steadiness if you have to crane round to see the monitor or re position it during the shot. Overall, the DJI OSMO is a really interesting little tool. It’s not for everyone or every production but for many it will become a very versatile and useful production tool. For the price it’s available for, it’s a superb introduction into the world of handheld, 3-axis gimbals. With firmware upgrades to fix some of the little software based quirks we think that the worst problems with the Osmo will be workable for most and when the X5 and X5R cameras come out (which will also be supported on the Osmo in due course) this will improve the image quality to the point where this device will be of a standard matching some much higher spec’d and priced cameras which require larger and more expensive stabilisation options. Okay the X5 is a pricy upgrade but given that it can also be used on the Inspire 1 then it makes it much more economical. We love it and can’t wait to start using it more on shoots that call for it. Below is a short film we put together on a day off with the family at Colchester Zoo in Essex. It is not intended to be particularly scientific but rather showcase the type of footage that is coming out of the Osmo direct from camera without any grading or post stabilisation. We shot the video in the standard profile, partly because at the time of filming we’d missed the option to convert to a different colour profile, but also so the ungraded, basic image could be compared. Having come from a background in film production and cinematography, I felt that becoming a remote pilot was the natural next step to enhance the production level of my films. As a qualified pilot and with the creative eye of a cinematographer, I feel I am well suited to capturing stunning visuals from the air.